Safe AWS Lambda Deployments with AWS CodeDeploy — It’s now possible to automatically shift incoming traffic between two function versions, allowing you to rollout a new function gradually and quickly rollback at the first sign of trouble. Building Azure Functions With F# Script & VS Code — A 4-part series (all available now) walking through building a serverless function with the F# language. 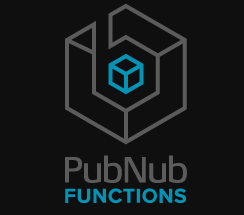 Build a Serverless Chatbot with IBM Watson — How to build an intelligent chatbot running on ChatEngine, empowered by Watson Assistant and serverless PubNub Functions. Protecting Forms with Serverless CAPTCHA — A look at using Google reCaptcha with OpenWhisk/IBM Cloud Functions. Particularly ideal for ‘static’ sites. Using HTTPS with Azure Functions in Local Development — Azure Functions’ Core tools come in two versions, one of which will let you develop and run functions anywhere, including locally. Super Simple Serverless E-Commerce — A walkthrough of creating serverless functions to allow customers to checkout and buy an item using Square. Azure Durable Functions Pattern: Approval Workflow with SendGrid — Durable Functions is a way to build stateful serverless workflows on Azure Functions. This tutorial demonstrates using emails, sent via SendGrid, to interact with such a workflow. The Maturity of Functions as a Service — A comparison of FaaS from the top four cloud providers.